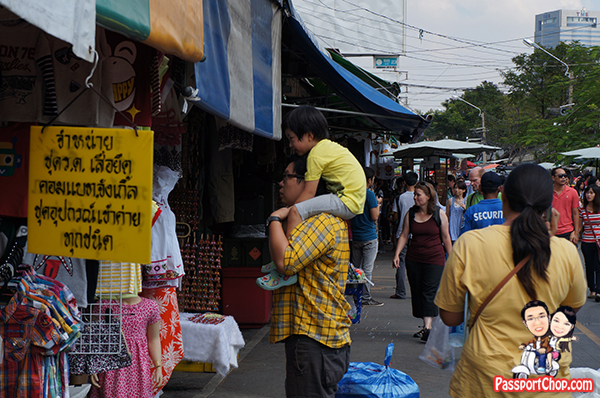 The Chatuchak Weekend Market is huge (occupying a space of almost 14 football fields) and is a complex maze of 2000+ shops. It is also extremely crowded with tourists as well as locals (look out for wholesalers with their huge trolleys of goods in the narrow alleys!). Coupled with the fact that the market sells almost anything e.g. pets, clothes, books, toiletries, kitchenware – it is easy to get distracted and lost and worse still separated from your friends and families when shopping in this huge market. With dtac Happy Tourist SIM, I can get in touch with my friends (without having to pay exorbitant roaming fees) to arrange a meeting place and time if we ever do get lost. 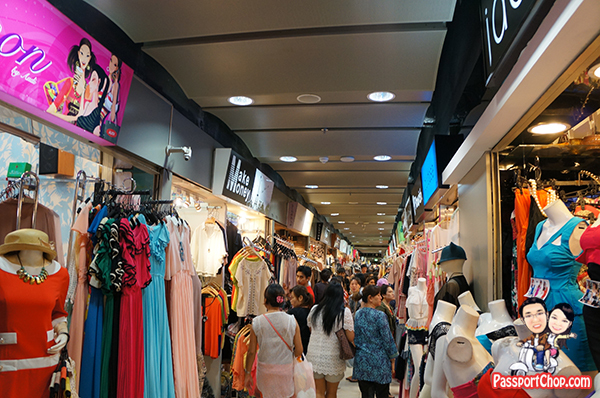 The Platinum Fashion Mall comprises 3 Zones and each zone comprises 6 floors of shopping of accessories, clothes, shoes and other ladies’ fashion. Heaven for the ladies? It is hell for me – and judging from the zombie brain-dead looks of the other guys who are tagging along their wife/girlfriend in the mall – I know I am not alone! 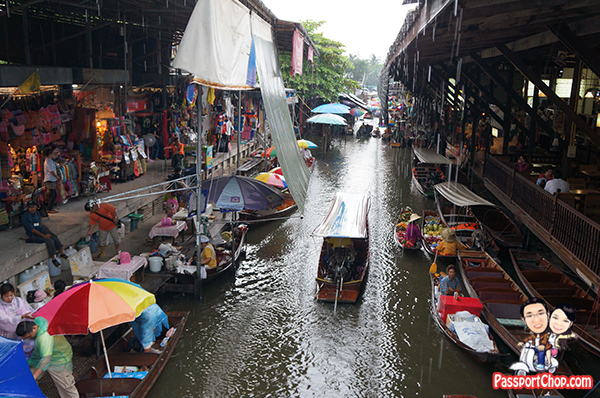 Need to arrange a tour to the floating market and train market or make some adjustments to the meeting time and place? Either pay exorbitant roaming fees to call them or make use of the 100 Baht free call (offered by dtac Happy Tourist SIM 299 Baht plan) – this is quite a no-brainer :-). 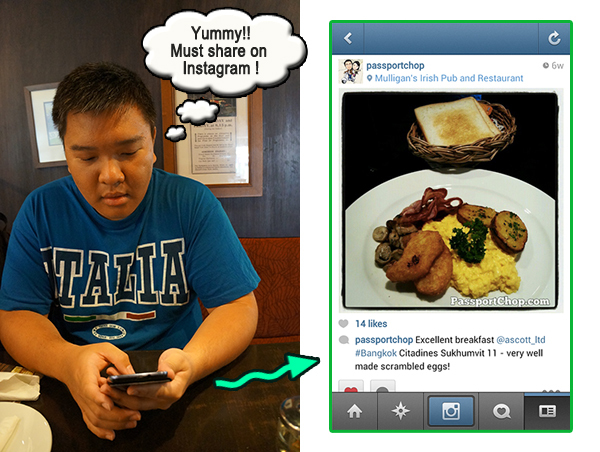 Tasted good food? The next step is to take a picture of it and share it on Instagram and other social media channels but wait! Roaming charges on calls are already very expensive and imagine how much it would cost to share a 3 Megabyte picture on Instagram while on roaming data plan! This is where dtac Happy Tourist SIM 7-day free 3G internet (only with 200 Baht Happy Tourist SIM plan) will come in handy! 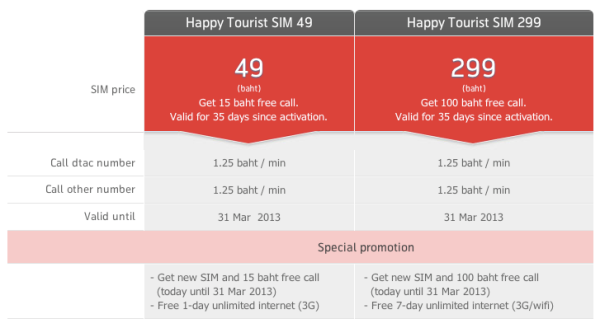 There are many other reasons to get a dtac Happy Tourist SIM of course – e.g. call back home to report that you have reached Bangkok safely. After all, it is much more affordable than using roaming plans of your telco. Check out the picture below for the price plans of dtac Happy Tourist SIM plans and what you can get for 49 Baht and 299 Baht! So if you are planning a trip to Bangkok or any parts of Thailand, make it part of your itinerary to get a dtac Happy Tourist SIM when you arrive in Thailand. You can get the dtac Happy Tourist SIM at any 7-eleven or major mobile retail shops or dtac shops around Bangkok (you can find one in the bigger shopping complex e.g. MBK, Terminal 21). You can also your dtac Happy Tourist SIM plan from the dtac mobile service center at Suvarnabhumi Airport (arrival on the 2nd Floor, Gate 7). nope – just insert in your SIM card and you are good to go. Is it a micro sim? At the Suvarnabhum Airport , you can get Free Sim by True Move @ True Move Counter , Cheap rate local call @1.25 bht. /min . International call to Singapore @1.50 bht/min. And get free emergency call such as Tourist Police Call Center, Medical Emergency etc. very good value . Hi Jessie – Thanks for sharing. can u pls tell if there is any waiting period for activation of the sim and when does the store at the airport open? I think sim activation period is almost immediate (the last time i tried). you might want to double check with the shop salesperson. Activation happens after you make your first phone call. No docs required. If you’re coming from the states, you can even find the SIM on Amazon Prime (USA) if you want to hand out your number to your friends in advance of your trip. Extremely cool! Congrats for your nice and usefull blog! A BIG hug from Brazil!